Scott Roberts, Mike Hurst and Kevin "Toby" Tobias signed their contract with Pamplin Music on stage at the Nashville Arena at the 1999 Dove Awards pre-telecast event. 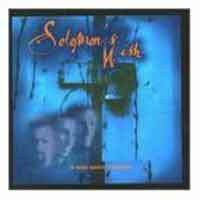 The one-year anniversary of that signing marks the impressive debut of the band called Solomon's Wish, three young men with a wisdom beyond their years and a knack for coupling insightful lyrics to tightly-crafted pop melodies, wrapped in acoustic-overdrive guitars and complex vocal harmonies. 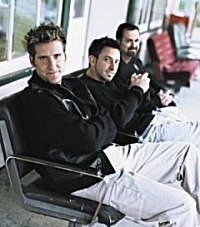 Entitled A Wise Man's Tragedy, the majority of the group's first album was produced by Brad O'Donnell, a noted songwriter known to many Christian music fans as husband and bass player for Erin O'Donnell. Dove Award winning songwriter and producer Don Koch also contributed to the project. Lyrically, the project has a depth that will make listeners think, ranging from the passionate cut, "Waterfall," revealing the magnitude of God's love for us, to the biblical story of "Mary's Alabaster Jar," co-written with Brad O'Donnell. "Fireside" tells of how our heart is Christ's home, based on the story by Robert Boyd Munger, and reflects on the time that we spend with Him there. Hailing from Michigan, Tennessee, and Illinois, these three guys grew up loving music, and dreaming big dreams, but the reality of adulthood and family life took them elsewhere. Mike made a name for himself in the shipping business after college, and after pursuing a solo career in music, had all but given it up. Kevin sold his guitars and amplifiers to pay for rent and diapers, in a tough period before landing a job in the printing industry, forcing him to give up playing guitar for almost 10 years. Scott, from a family of music industry veterans, kept close to the music, from his days as a popular mobile DJ to a stint in a resort band on Michigan's famed Mackinac Island. With A Wise Man's Tragedy hitting stores only two years after the group first began playing together, it is easy to see the grand scheme that God has working in the lives of Scott, Mike, and Kevin. Weaving together lives and experiences, lyrics, and harmonies, Solomon's Wish creates a tapestry that reflects God's hand in their own walk, inviting listeners to become a part of that experience.